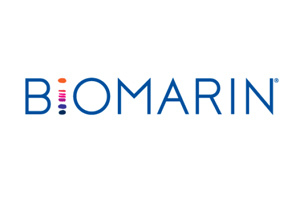 BioMarin is dramatically expanding the size of a phase III trial of its gene therapy for haemophilia A, after reporting long-term efficacy data from another study which showed clear evidence of efficacy two years after dosing. Increasing the size of the trial will help “demonstrate benefits well beyond prophylactic factor use” with valoctocogene roxaparvovec/BMN 270, according to the company’s head of R&D Hank Fuchs. It will add another 90 patients to the GENEr8-1 registration study - taking the overall size to 130 - so that it will be statistically powerful enough to show if the gene therapy is superior to recombinant Factor VIII (rFVIII) treatment. The confident move comes on the back of updated results from a phase I/II trial which included 104 weeks of data for a cohort on the higher dose of BMN 270 (6e13), which revealed a 97% reduction in mean annual bleed rates (ABR) with most patients no longer needing preventative rFVIII shots. In the first year 71% of patients had no bleeds at all, up from 15% at enrolment, and in year two the gene therapy performed even better, eliminating bleeds in 86% of patients. There were also dramatic improvements in quality of life which BioMarin said stemmed from “cessation of bleeding, freedom from worry and independence from treatment”. There were some niggles in the data that spooked investors, however and shares in the US biotech slid yesterday after the announcement, recovering some ground but still ending the day down a couple of points. Specifically, some analysts raised questions about what appeared to be a tailing off in FVIII levels in year two, although BioMarin said the values remained within normal ranges and may reflect a plateauing of the gene therapy’s effect - something that has been observed in animal studies. The nervousness likely reflects the massive potential for gene therapies to upend the current treatment approach to haemophilia, raising the prospect of a one-shot treatment that could provide years of efficacy and free patients from the grind of regular clotting factor injections. Haemophilia - both type A and B - is seen as a low-hanging fruit among gene therapy targets as it is caused by a single gene defect, it is relatively easy to deliver therapy to the target organ (the liver) and the effects are easily measured using well-recognised biomarkers. As a consequence, BioMarin is in a race with several other biotechs to make the first gene therapy for haemophilia A a commercial reality, and at the moment seems to be ahead of the pack. In the chase are Spark Therapeutics’ SPK-8011, Pfizer/Sangamo Biosciences’ SB-525 and Shire’s SHP654 - all in phase I/II testing - with uniQure and Sanofi’s Bioverativ unit also carrying out early-stage work in this area.